My name is Paul Uricchio. I was born and raised in the historic city of Charleston, South Carolina where I have been an attorney for more than forty years. Upon admission to the Bar in 1970, I worked with my father, Paul N. Uricchio, Jr. and his law buddies Arthur Howe, OT Wallace, Bob Wallace, Bubba Ness, Richard Fields and a host of others, where I learned the ins and outs of practicing criminal law. In 1986, I partnered with my close friend, Grady Query, to form the law firm of Uricchio and Query (yes, we were responsible for that commercial in the eighties featuring the overly cheerful secretary answering the phone). It was during this time that I began to focus on personal injury and workers compensation law in addition to continuing my criminal defense practice. In 1993, I formed Uricchio Law Firm in order to more deeply pursue my personal interest in criminal defense as well as serious injury cases involving auto, trucking, and motorcycle accidents. Over the years, I have also handled numerous cases involving medical malpractice, nursing home negligence and abuse, animal attacks, premises liability, products liability, sexual abuse, toxic mold and wrongful death. I guess you could safely say that I’ve seen it all—there is little that can shock or surprise me anymore. On the weekends, I can be found either on my boat, riding my motorcycle or shooting at some type of target. 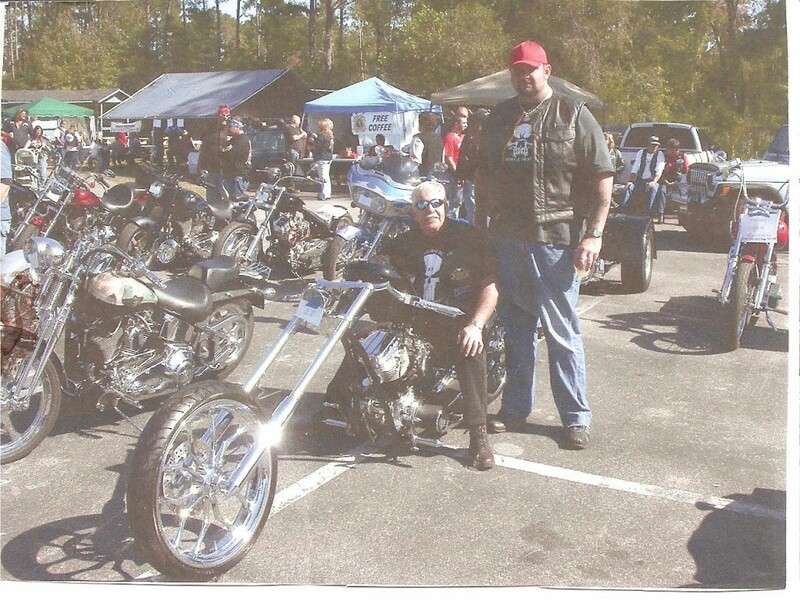 My love for riding goes back to 1967 when I bought my first bike—a 1967 650CC Triumph TT racer built by none other than my friend Frank R. Now, I enjoy riding my highly modified 2006 Fatboy and I am a member of HOG, ABATE, and Tri-County Bikers Helping Bikers. I also like to ride with certain clubs not affiliated with the American Motorcycle Association including a now defunct club called the Tribulators. I feel fortunate that I am able to combine my love for motorcycles into practicing law. It has been a pleasant surprise to find that my experience with motorcycles and my passion for riding have proven to be invaluable resources to my clients, as well. I have met few insurance adjusters who actually have any level of experience with riding motorcycles, yet many who are quick to dismiss the unique hardships faced by riders.